Juliette Gordon Low was, and still is, an extremely important part of Girl Scouts. Without her, where would Girl Scouts be today? Her vision led to unlimited opportunities for girls nationwide, and we should acknowledge all of the wonderful things she did for us. Did you know that Juliette Gordon Low came up with the idea of Girl Scouts after meeting the founder of Boy Scouts, Sir Robert Baden-Powell, in England in 1912? Girls were demanding a similar organization for themselves, so immediately after Juliette returned to the United States, she created Girl Scouts with the vision of helping girls become productive and responsible women. Girl Scouts began with just a small gathering of 18 girls and is now an international movement with over 3.7 million girl and adult members. Isn’t that incredible!? 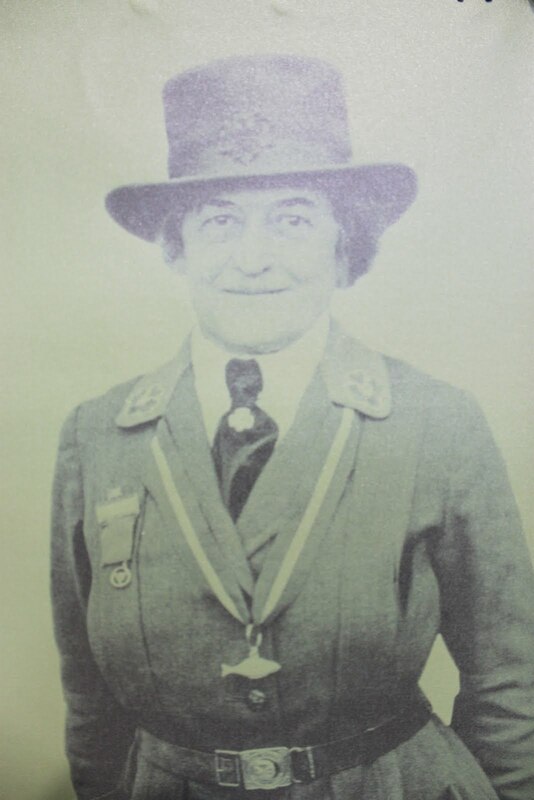 Due to her national recognition and success with Girl Scouts, Juliette Gordon Low was inducted into the National Women’s Hall of Fame in 1979. In 1983, President Ronald Regan signed a bill naming a new federal building in Savannah in honor of Juliette Gordon Low. it was the second federal building in US history to be named after a woman. Girl Scouts throughout the country plan to recognize her birthday with parties, service projects, and events. Is your troop doing anything to acknowledge this special event? please let us know by posting a comment or sending us an e-mail at marcomm@girlscoutshcc.org. Also, be sure to visit the GSHCC’s new Program Center, featuring a historical museum packed with vintage uniforms and artifacts from Girl Scout past. Register online to visit the museum, where you can learn more about Juliette Gordon Low and the history of Girl Scouts. Do you know a lot about Juliette Gordon Low? Click here to take a quiz and find out.